And what is college if not a time of no money & the need for lots of books? 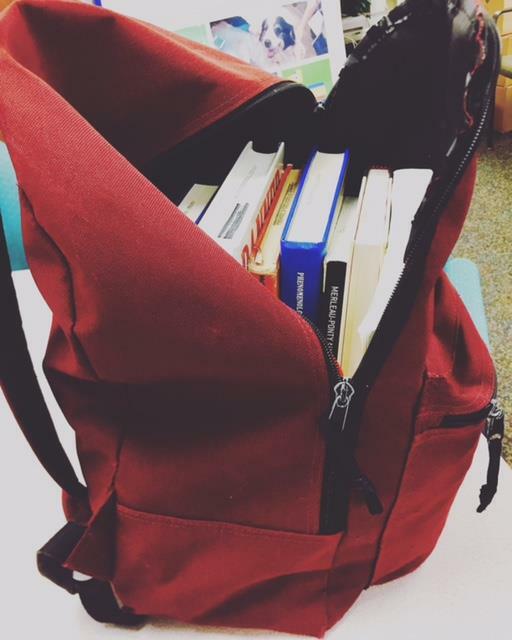 this blog is a quick look at upcoming library events and occasionally other things I find interesting (or at least, no one has told me to stop that part yet). I spend most of my time in Falvey helping my (wonderful!) team prepare for the many events we host, and all other moments bothering my fellow graduate assistant, the beloved ‘Cat in the Stacks. I am so happy to begin my second year at Villanova, and excited for everything Falvey Memorial Library is planning for the upcoming semesters. ASPD Seminars, Room 205, 8:30-9:20 a.m.; 9:30-10:20 a.m.; 3:00-3:50 p.m.
ASPD Seminars, Room 205, 2:30-3:20 p.m.; 4:00-4:50 p.m.
Villanova in London Program in Spring 2018, Room 205, 12:00-1:00 p.m.
ASPD Seminars, Room 205, 8:30-9:20 a.m.; 9:30-10:20 a.m.; 12:30-1:20 p.m.
p.p.s. 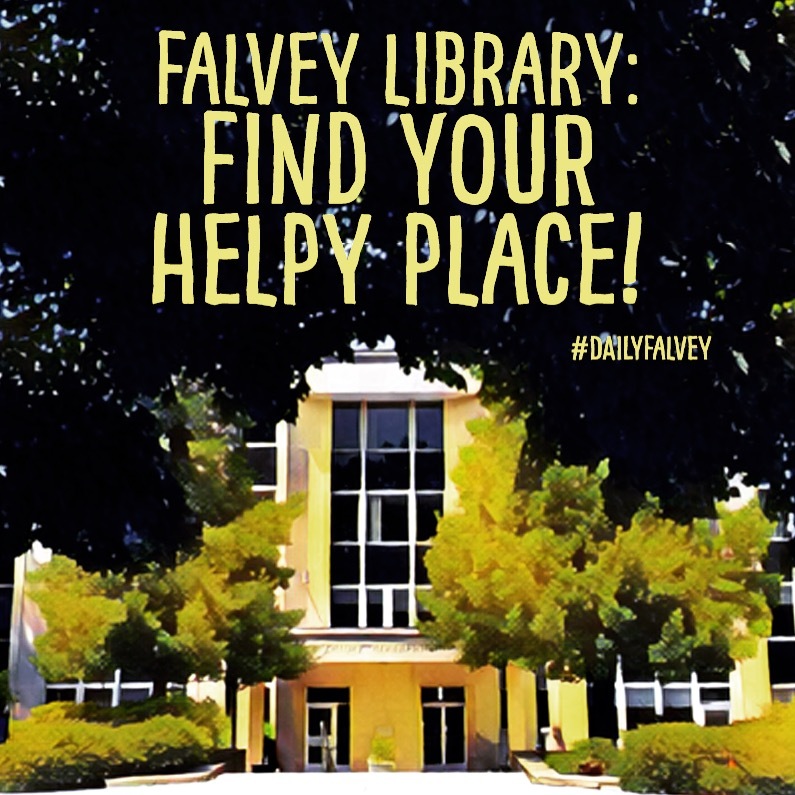 We also have new #dailyfalvey motivation photos to help every day begin a little easier, and to remind you that you always have a helpy place here. 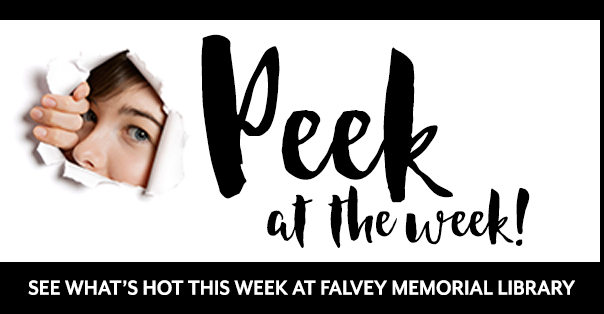 #FalveyPeek at the Week provided by Hunter Vay Houtzer, a graduate assistant on the Communication and Marketing Dept. at the Falvey Memorial Library. She is working toward an MA in Communication at Villanova University, and on attempting to begin a Peek at the Week vlog. Send your thoughts/suggestions to Hunter at #falveypeek. See you next Monday for more!